Thousands of homes have been destroyed by flooding in Peru. Heavy rains have led to floods across the South American country of Peru as the impacts of El Niño continue to cause devastation across the world in 2017. Our Church partner in Peru, the Diocese of Chosica/ Caritas Chosica, is responding to the emergency, including in Lurigancho-Chosica, a district on the outskirts of Lima. "We are supporting the Diocese of Chosica to deliver basic aid to families in Carapongo and Ricardo Palma, two areas within the region of Lima that have been badly affected by floods and landslides. 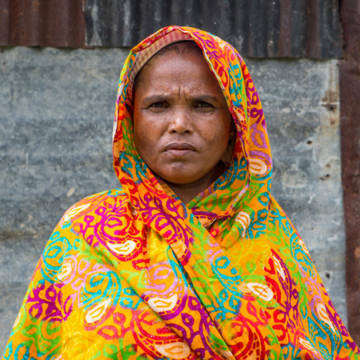 Between December 2016 and the end of March 2017, over 100 people had been killed, almost 142,000 people had lost their homes, and over 900,000 more had their homes damaged because of the rains, mudslides and landslides. The deaths have occurred mainly along the coastal provinces of Peru, including Piura, La Libertad, Lambayeque, Ancash, Arequipa and Lima. 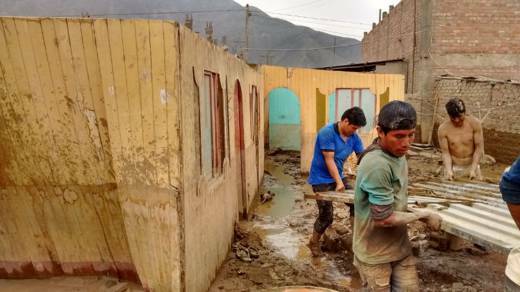 The worst rain to hit Peru in two decades has also left over 1700 schools and 592 health centres damaged or destroyed, and 54,000 hectares of farmland devastated. Exacerbated El Niño and La Niña phenomenon have caused thousands of deaths so far in 2017 throughout the tropics and sub-tropical zones of the planet, including from severe drought in East Africa and landslides and flooding in Colombia. While the El Niño weather phenomenon is the major cause, the long-term effects of climate change are also a factor. More erratic and extreme weather in recent years has made it more difficult for the poorest communities around the world to grow food and protect themselves from disasters like this one in Peru.